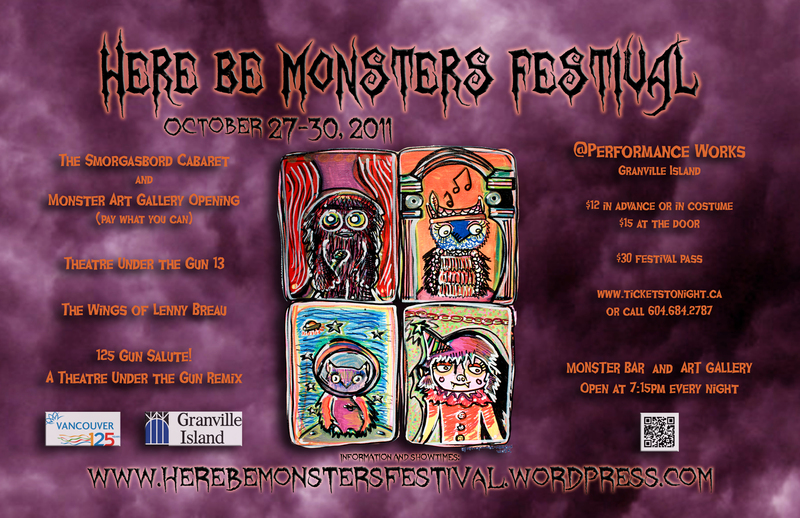 Monster Bar & Art Gallery open at 7:15pm! We challenge theatre & dance companies to create original short performances in only 48 hours! Participants receive an inspiration package that they will use as the basis of their creation. These inspiration packages could involve anything from lines of poetry, a lightingspecial, a piece of choreography, a special prop, an image, a sound, a stage direction, etc. Once groups have received their inspiration package, they have 48 hours to create, write, rehearse and perform their creations. Supported by CMHC Granville Island. WHO IS TUG? See the participating Theatre Under the Gun teams.